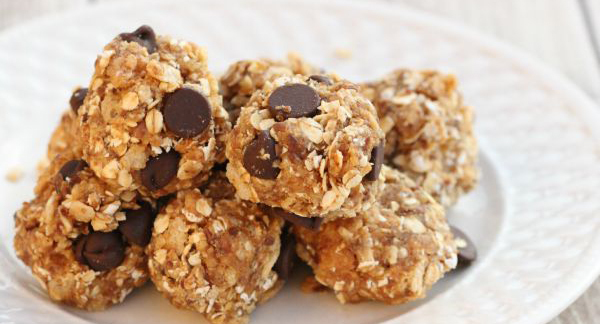 These Kid-Approved No-Bake Energy Bites are the perfect addition to any lunch. Store them in the freezer and pop into your kids lunchbox in the morning. When lunchtime comes around they’ll be thawed and ready to eat! Dump all ingredients into a large bowl. Mix well until all ingredients are well incorporated. Cover with plastic wrap and chill for one hour in refrigerator. Using a cookie scoop, take tablespoon size amount and roll into a tight ball. Place balls on a waxed paper lined cookie sheet. Place cookie sheet into freezer and freeze for 3 hours. Transfer to a plastic bag and store in fridge for one week or freezer for up to 3 months.